Roundtrip Envelope 172 At Print EZ. Roundtrip Envelope Item No. 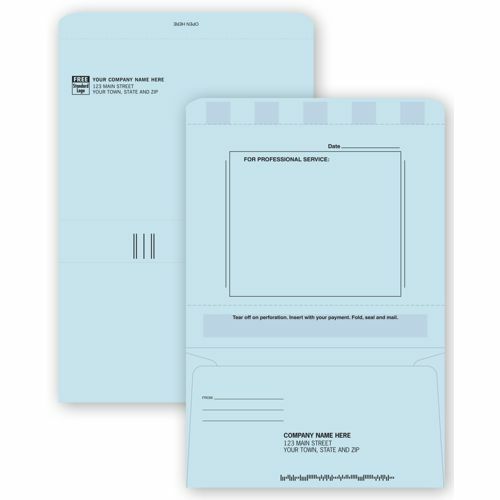 172 Size: 4 1/2" x 6 3/8"
When looking for personalized envelopes that have been designed in accordance with your needs, you will find that we offer the very best. These send and reply round trip envelope sets are a prime example of that. The crispness of the paper, its strength and the perfect styling of the envelopes all combine to make these items a hot favorite with our clients. Made from high quality paper, these sets include the statement and reply envelope, both in one. You can send out the mail to your client and all that the client needs to do is rip the attached envelope with your pre-printed address and send it right back to you. Choose between blue and white and also add your bar code and a personal two line message at no extra cost.